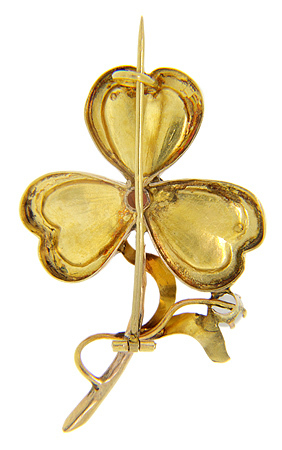 This 10K yellow gold art nouveau pin is crafted in the shape of a flower. 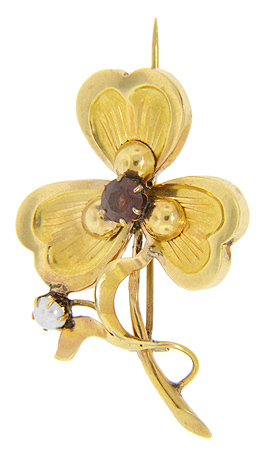 A garnet rests at the flower’s center while a single pearl ornaments its stem. The antique pin measures 1 5/8” in height by 1 1/8” in width. Circa: 1915.